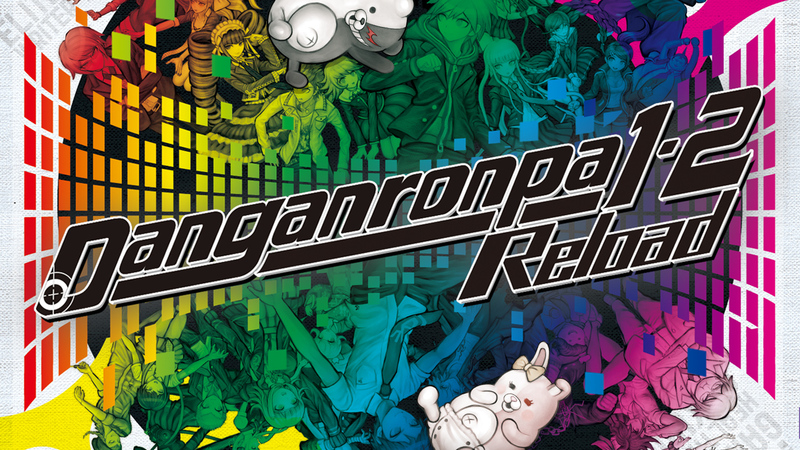 Two of the best visual novels available are coming to PlayStation 4, with NIS America’s announcement of Danganronpa 1•2 Reload. The bundle brings together Danganronpa: Trigger Happy Havoc and Danganronpa 2: Goodbye Despair, which have previously only been available for PS Vita and PC, and will hopefully introduce this fantastic series to a whole new audience. Danganronpa is a murder mystery series, but that kind of reductive categorisation doesn’t do it justice. It’s also a black comedy, a psychological thriller, a subversive critique of anime tropes, a surprisingly human drama, and a clever repurposing of shooter mechanics. It uses the framework of a “killing game” wherein a class of students are forced to kill one another, Battle Royale style, but takes that to completely ridiculous extremes in way that’s simultaneously hilarious and deeply disturbing. Over the course of the two main games, as well as a variety of spinoffs across different media, Danganronpa has developed into a layered, intricate story full of outrageous but deeply empathetic characters. Then, to top it all off, it puts a creative spin on shooter mechanics in heated debates where you, quite literally, shoot holes others’ arguments. It’s a wonderful series, and one of the great regrets of my writing career is that I gave the first game “only” 8.5/10 – a score that’s at least 3 points too low. I’d go as far as saying that the main games, at least, are mandatory for anyone with even the slightest interest in good video game storytelling, even if you’re not someone who typically enjoys visual novels. Thanks to Danganronpa 1•2 Reload, a huge new audience will get the chance to dive in. There’s no word yet on what improvements, if any, Reload will have over the original PS Vita releases, but frankly, it doesn’t really need any. If Spike Chunsoft can get it to render natively in 1080p, to best showcase the wonderful 2D artwork, that’d be great, but I can’t think of any other remastering that would add anything of value. This announcement also makes the future of New Danganronpa V3 look even brighter. It hasn’t officially been announced for a Western release, but given how well-received the first two games have been, it’s only a matter of time. With Reload, it looks like Spike Chunsoft and NIS America are trying to whet console players’ appetites for V3, which is currently in development for PS4 as well Vita. I can’t see NISA localising Reload if they don’t also have plans for V3. Danganronpa 1•2 Reload is due out in early 2017 in North America and Europe, while New Danganronpa V3 comes out in Japan on January 12.